Many stores claim to “eliminate the middleman” implying that one less retail markup means big savings for you, the customer. However, you can eliminate the retail markup and then some by buying used. You can feel good about saving the environment too by keeping still-useful items out of landfills and buying fewer new products. 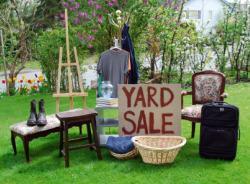 Here are the top ten items to buy used and save money. Cars depreciate in value significantly over time (except collector cars), with the greatest value loss in its first years. The moment you drive a new car off the dealership lot, it drops in value from the price you paid to the wholesale price, losing about 11% of its value on average, and after five years is worth about a third of its original value. Most people remodel, change residences or update their home, but most furniture is made to last for twenty years or more given that furniture is made to withstand years of daily use and show little visible wear. Secondhand is often equaled to new but at half or less of the cost. Upholstered furniture like couches, recliners and loveseats wear out soonest due to flattening of the cushion and fabric wear, but hardwood pieces like dining tables and chairs, end tables and dressers can last for decades. Kids outgrow clothes and grow tired of toys quickly, so it doesn’t make sense to splurge on new clothes for a short period of ownership. At thrift stores and garage sales you can buy kids’ clothing for just a few dollars, and for most children it is the novelty of the toy, not its price, that counts. Bicycles, particularly, are expensive if bought new and are quickly outgrown or crashed. Bike helmets, however, should be bought new, as well as car seats or booster seats. For a child’s first introduction to playing and performing music, a used instrument will suit their needs on a budget most parents can afford. Used is also best if your budding Beethoven turns out to be a Brahms instead and loses interest in the instrument in just weeks. A new, top-of-the-line piece is excessive unless you plan to perform professionally. Whatever you choose, buy from a reputable dealer who can sell you or help you find additional supplies, accessories and repair services. Just-released CDs and DVDs can set you back a Jackson each. Pre-owned CDs and DVDs are often available at thrift and consignment stores, pawn shops and video rental stores for less than a Lincoln apiece. Used books are another great way to save. Why pay full price for an item you’ll only use once or twice? Unless the book you want is a popular new release or a recent bestseller, you can find it at a used bookstore like Half Price books, which also sells CDs, records, textbooks and more. You can shop online too; on eBay and Amazon’s third-party seller network you can easily search and compare prices from different sellers around the country. Thirty-eight percent of Americans who make New Year’s Resolutions want to lose weight, according to a survey by GNC. In a well-intended burst of enthusiasm, many rush out to buy exercise equipment for the home only to find that it gathers dust in the back room months later. The secondary market is full of barely-used pre-owned equipment at affordable prices. Durable sporting equipment like baseball bats, nets, tennis rackets and hockey sticks are also best to buy used, since adults and children alike can go through phases of fascination and apathy with a sport or activity. Another common New Year’s resolution is do-it-yourself home improvement. Even when the job is finished, power tools purchased for the project might never leave the garage again, even though they could withstand many hours of use with proper care and storage. Local classified ads, pawn shops and online seller postings are great places to find the right tools for the job. Reconditioned tools are another option if you want to know exactly what you’re getting. They are repaired and tested by the factory, and most come with a one-year limited warranty. Gemstone jewelry sells with a huge retail markup. Consider instead estate sales and auctions or a reputable pawn shop. If buying from an independent seller you may want to have the item appraised before buying. Some jewelry stores also sell pre-owned pieces so you can compare side-by-side. Vintage jewelry has a certain mystique and appeal. Fashions change in jewelry and you may find a style from the past that perfectly fits you or a loved one. With designer clothing, the cost comes from the label, not the item. Those who buy designer duds update their wardrobe often and sell clothes to consignment stores or thrift stores, where you can get them for the same price you would pay for new jeans of average quality from another brand. That’s right, you can get an iPad for less. Refurbished electronics are factory-tested and good as new. The only aspect diminished is the price. Look for a warranty just as you would if you bought new; one year is ideal. When buying used, it’s not about getting what you pay for, it’s about getting the quality that someone else paid for by purchasing after the early depreciation in value while the item is still prime for use. Can Sewing Help Your Budget? These are some great ideas! University text books are ridiculously expensive, especially considering you use them only once. My son buys from a new and used bookstore near his university. Students will bring their books back to the store and receive a percentage of the original purchase price in cash. The store then sells these books at a reduced price. Every book he’s bought used has been in perfect condition! He then resells it at the university when he’s finished with it. The money he gets for the books will pay for next semester’s books. It’s one of the best ways for these students to get deals. My 17 year old daughter loves to shop at Thrift stores and comes home with some great designer clothing at 50 to 60% reduction. She particularly likes the “vintage” clothing she can sometimes get. I love shopping at thrift stores, too, and I have found some really great buys there, when you have an idea what to look for. I have even made a little money by finding an underpriced outfit at the thrift store, and then listing it on eBay for resale. Some books are great for selling on eBay also, but you have to check out the eBay sales to see which ones are actually selling for a good price, before you buy them. Another place to find cheap used items is Craigslist . They even have free stuff posted on there, so if you are needing something, you can look to see if someone has one to give away, or even list what you are looking for under the “wanted” listings.